For South Carolina prison inmates, posting on Facebook is regarded as a severe crime on par with murder, according to a new report. Social media activity in the state’s prisons is punishable by solitary confinement and other draconian penalties. A South Carolina Freedom of Information Act request by the Electronic Frontier Foundation (EFF) revealed that since 2012 the state’s Department of Corrections (SCDC) has considered “Creating and/or Assisting With A Social Networking Site” -- basically accessing social media like Facebook or blogs and email for any reason -- a Level 1 offense, on par with the most heinous of crimes like murder. “Since the policy was implemented, SCDC has brought 432 disciplinary cases against 397 inmates, with more than 40 inmates receiving more than two years in solitary confinement,” EFF wrote of the policy. In addition to long stretches of solitary confinement, some inmates found to have used social media had privileges like phone access or visitation time taken away. An inmate need only be found to have smuggled a cell phone into prison to access social media or to have asked friends or family to check his account after giving them his personal password. In addition, the SCDC issued a separate Level 1 infraction for each day an inmate accesses social media, not for each time. “In other words, if a South Carolina inmate caused a riot, took three hostages, murdered them, stole their clothes, and then escaped, he could still wind up with fewer Level 1 offenses than an inmate who updated Facebook every day for two weeks,” EFF wrote. Most of the cases involved in the policy concerned use of Facebook, which has complied remarkably, processing hundreds of profile-suspension requests from SCDC officers. 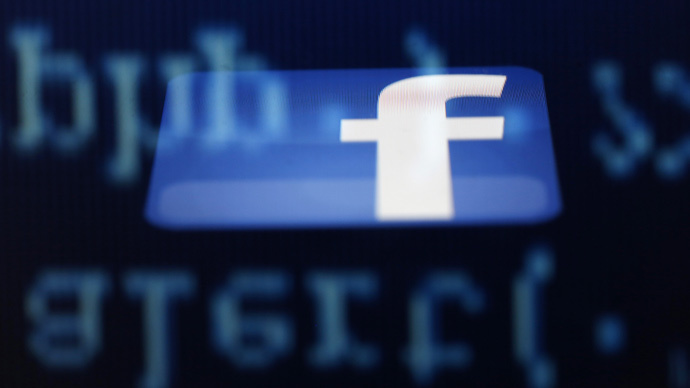 Facebook says it can censor inmates’ pages based on its Terms of Service agreement, “specifically, purported violations of terms banning users from using aliases or sharing passwords with third parties,” according to EFF. EFF found, though, that Facebook followed SCDC requests even when no Terms of Service violation had occurred, and the company looked the other way when SCDC officials also violated the Terms of Service rules. In classifying social media visits as Level 1 offenses, the SCDC has given some inmates so much time in solitary confinement that the incarcerated individual may never actually serve out the time allotted given the lack of SCDC space in confinement facilities or because an inmate’s accrued social media violations outstrip his or her actual sentence. “Segregation, isolation, separation, cellular, lockdown, Supermax, the hole, Secure Housing Unit… whatever the name, solitary confinement should be banned by States as a punishment or extortion technique,” UN Special Rapporteur on torture Juan E. Méndez said in 2011 when he called for a ban on the tactic, used to break down an inmate’s psychological will. Tens of thousands of US prisoners are now kept in isolation between 22 and 24 hours a day, according to the Center for Constitutional Rights (CCR), which is currently representing inmates at California's Pelican Bay Security Housing Unit supermax prison who are challenging the prison’s solitary policy.